The Department of Journalism and Creative Media is expanding its Community Journalism master’s program with the addition of a broadcast focus. * The Anniston Star, the award-winning newspaper where since 2005 more than 70 ComJ students have written stories, taken photos, shot and edited video, and produced social media . * The Digital Media Center inside Bryant-Denny Stadium at the University of Alabama. Students can work with WVUA-23 news and with Alabama Public Radio. and digital media, some of the skills-focused classes will prepare students for their internship at The Star or at a more broadcast-focused newsroom. The program accepts up to 12 students per year. Students apply through the Graduate School and must meet its admission standards. Financial assistance may be available, through working as a reaching or teaching assistant, or through a University scholarship. Meeting the early deadline for application, Jan. 31, is helpful. For details, contact graduate coordinator Dr. Chris Roberts. The 2015-2016 Com-J special project, Shadows of the System, is an in-depth look at often overlooked factors affecting prison reform is Alabama. Built in the Atavist platform, Shadows of the System was reported, edited, and produced by Masters students Troy Herring, Kayla Howard, Tyra L. Jackson, Lee McCalister and Casey Voyles. Downstream, the 2014-2015 Com-J special group project, has received Region 3 Mark of Excellence Awards. The project was named a finalist in Online In-Depth Reporting and in Best Use of Multimedia. A Tuscaloosa-area jobs board for people with disabilities. A profile of southern football culture in Gordo, Ala.
A piece of explanatory journalism about off-campus housing in Tuscaloosa. A map-based examination of food insecurity in the Tuscaloosa area. A documentary project about four families caring for loved ones with Alzheimer’s. A video profile of Alabama’s craft-beer community. A multimedia storytelling project about Alabamians connected to the Black Warrior River. During the fall semester, the 2012-2013 ComJ students each identified a fundamental community problem and then conceptualized an innovative online approach to addressing that problem. For the first eight weeks of the spring semester, with the assistance of students from the University of Alabama’s Computer-Based Honors Program, they produced first iterations of their projects and then presented them during the department’s annual JDay on March 14. By combining written stories, audio, video and still images, Leah Cayson’s What is Beauty is a storytelling website for women on campus who have struggled with body image. Madasyn Czebiniak’s Bike Theft project combines mapping, campus crime data about and tips on preventing campus bike theft. Courtney Davies created MXcluvise to give an in-depth,photo-driven look into the world of motocross. Debra Flax’s Braving the Homefront is a day-in-the-life multimedia series chronicling student veterans on the University of Alabama campus. Sara Milledge’s Piper Place is an immersive narrative that aim to humanize mental illness by profiling a mental health community in Birmingham. For her Eating Tuscaloosa project, Katie Turpen chose food as the lens through which to look at the intersections of UA students and the surrounding community. Do you want to explore new ways to serve communities through the constantly evolving practice of journalism? Do you want to think more critically about the role journalism plays in the communities it serves? Do you want to develop writing and visual journalism skills and learn more about digital media and news innovations? 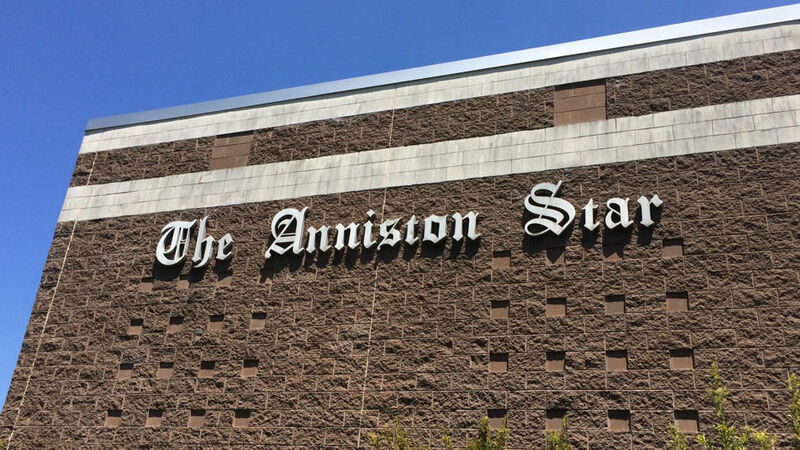 Do you want to intern in the newsroom of the acclaimed Anniston Star newspaper? Do you want to do all that in one year?